“ ‘Nigeria is a state, not yet a nation’. Discuss” was the very first continuous assessment essay question for GENS 101, Nationalism course in my first year and first semester at Ahmadu Bello University Zaria. Myself and many of my classmates probably wrote complete drivel in a bid to answer it partly because we were fresh out of secondary school and hardly understood or were able to distinguish the concepts of statehood and nationhood, and partly because the lecturer hardly came to class to actually “teach” that module. It was not until relatively recently that I got to fully appreciate the weight and import of these concepts, how they relate to me as a citizen and why I was asked that question at the university. This question of Nigeria’s statehood and its viability as a nation was an issue our immediate post independence leaders were confronted with at independence in 1960 and remarkably more recently, as Nigeria marks 51 since the attainment of political independence, Nigerians are increasingly asking the same question: whether we recognize ourselves as members of a single Nigerian nation, bound by common values of Nigerian-ness. At independence, Nigeria’s political leaders were acutely aware of the socio-economic and political challenges confronting the newly independent entity and were aware of the profound socio-cultural divergence between the hitherto autonomous northern, eastern and western regions. As former US Ambassador to Nigeria John Campbell rightly notes, the nationalist leaders, their differences notwithstanding recognized the need for unity under the common banner of a democratic Nigerian state due to shared ideals for the pursuit of economic development, governance according to the rule of law and to serve as a beacon for other African countries on the global stage. 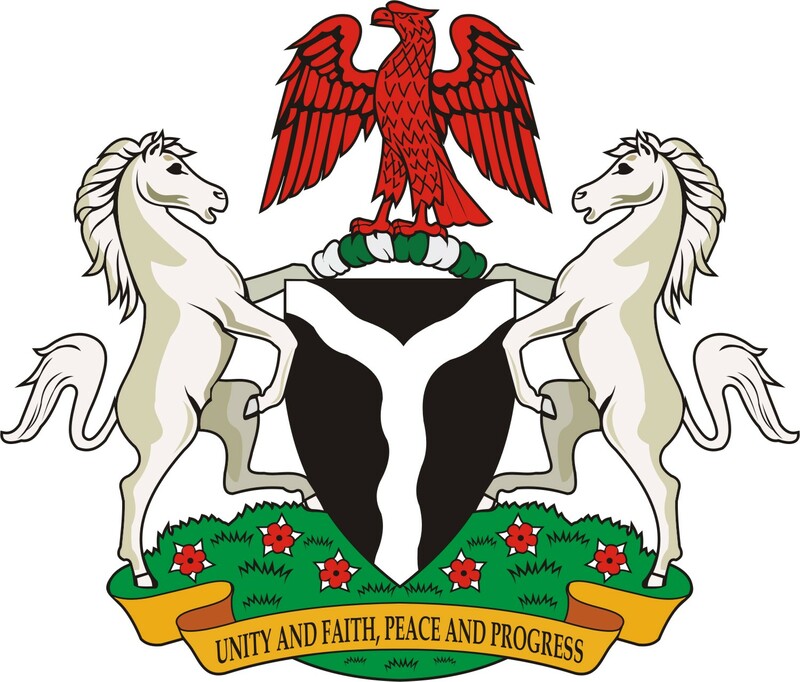 These ideals were embodied in the lofty motto “unity and faith, peace and progress” as inscribed in the Nigerian Coat of Arms. Along the line, after years of intense elite bickering, military coups, a civil war, electoral manipulation and fraud, those common values, yearnings and aspirations have become lost on both leaders and followers in Nigeria. A typical manifestation of this phenomenon is that some Nigerians, from students and civil servants to public office holders cannot recite the national anthem or the national pledge. The basic philosophy of our Nigerian-ness after more than 5 decades has become lost amidst the rubble of crippling poverty, increasing inequality between the haves and the have-nots, the dearth and near collapse of infrastructure, alarming level of insecurity, intensification of ethnic, regional and religious cleavages and animosity amongst citizens, infamous bad leadership and scandalous corruption. All these have culminated in a political leadership that is confused, mediocre and grossly inefficient populated by a corrupt, self-seeking, and fractured political elite devoid of patriotism, nationalistic pride and sovereignty as the recent batch of Wikileaks cables on Nigeria have revealed. This leadership and elite have not only resulted in weak and dysfunctional state institutions but also a followership which in the absence of effective and inspiring leadership is distrustful of such leadership, and is mutually antagonistic of one another; a followership bedevilled by poverty, inequality, marginalization and a sense of injustice that is increasingly becoming desperate, disillusioned and militant. The militant and violent Movement for the Emancipation of Niger-Delta (MEND) recently warned Nigerians to steer clear of Independence Day celebrations in Abuja because it claimed it was planning a bomb attack. A leadership which lacks nationalism and patriotism similarly inspires a followership that has little nationalistic pride and devotion. For several years many Nigerians, save the ones in government who have to participate in official protocol, hardly genuinely participate in the Independence Day celebrations. What celebrations can you participate-in when there is hardly power (electricity), when several bombs have gone-off in various parts of a city, when you are grieving over the loss of a relative or friend who died in a ghastly road accident, when newspaper headlines are daily screaming with sordid salacious stories of government corruption and inefficiency, when parents have several graduates loitering aimlessly at home unemployed and where university students nurse a perpetual mortal fear of finding themselves stranded, unemployed in the labour market? Interestingly, while acknowledging many of these enormous problems, one basic fact which most Nigerians fail to recognize or prefer to (willingly) overlook is our role in it all. It has almost become an automatic reflexive action for everyone to quickly attribute Nigeria’s problems to bad leadership (which is not under dispute). It is almost a comical irony to read the transcript of interviews with some legislators, ministers or other public office holders and hear them complain about bad leadership as the bane of Nigeria’s problems forgetting that they actually constitute such “leadership”. It is as though the concept of leadership in this context has assumed the notion of a nebulous, abstract bogey-monster which provides an escapist punching bag for us to blame for our woes. In our eagerness to blame “bad leadership”, we conveniently forget that those leaders are not foreigners or aliens, but are part and parcel of our society – they were once ordinary citizens like us and are an embodiment of the nature, the pulse and attitude of our society. We fail to remember that if we want our leaders to change, we need to change our ways, our mindset and re-assess our aspirations so that the leaders will reflect those values and when they falter or waver we make them (or pressure them) to toe those lines. After 51 years of “independence” and over 12 years of democracy we are yet to accept that change has to come from within all of us. If we have forgotten or we no longer respect the philosophy and common values that bind us together, if we have relegated our yearnings and aspirations for a developed, progressing, stable and effectively governed and democratic Nigeria where everyone is equal and can realize their full potentials, then how do we expect our leaders to be any different from us and miraculously have the much desired “interest of the nation at heart”? As Nigeria marks 51 years since independence, we need to embark on a sober reflection of what Nigeria means to each of us, and what role we have played and are playing in the state of Nigeria today. A nation is built when it’s constituent inhabitants recognize the common values and aspirations they share despite their differences and how crucial it is to safeguard and protect those ideals in every sphere of life. Until we recognize and embrace that, our march towards nation-hood will continue faltering.